For a long time the Costa Blanca has had a reputation for having the best chance of winter sun, the cheapest flights and the most reasonably priced accommodation. However, the 'White Coast' has a lot more to offer than the simple beach holidays enjoyed by thousands of tourists every year. Not only the spectacular and varied mountains close to the coast, but also the marvellous spring blossom and warm autumn days have attracted walkers and climbers from all over Europe for decades. High barren mountains and their series of steep ridges contrast with fertile garden landscapes and widespread fruit plantations on the coast. Gill Round, who lives in the Costa Blanca and has guided walks there for some years, introduces 51 particularly interesting routes which also savour details of the cultural history and reveal culinary delights. 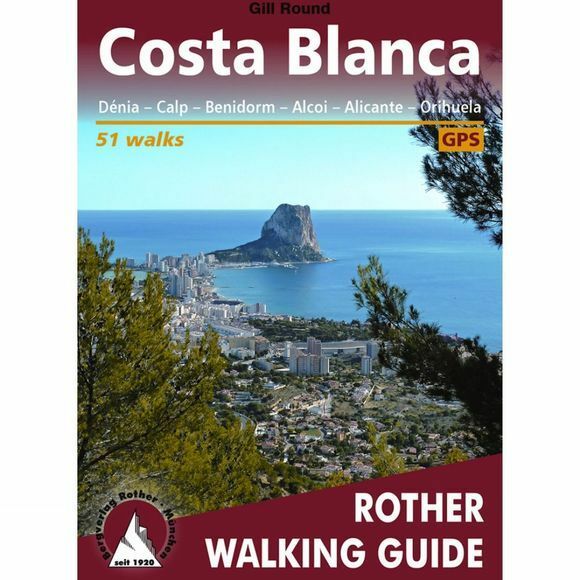 This guide provides a reliable companion for unforgettable days in spectacular natural environments – for short trips near to large holiday resorts, as well as more challenging summit ascents in the remote mountain countryside of Alicante province. The selection ranges from leisurely strolls along the coast, to pleasantly cool rambles along rivers and gorges, to mountain walks with stunning views. Every walk contains a fact-file of all the important information, a detailed walk description, a small map showing the line of the route and an easy-to-read height profile. The numerous colour photos give you an excellent insight into the landscape characteristics of all the walks. The present edition has been totally revised. Every route is provided with comprehensive GPS data, ready for download.